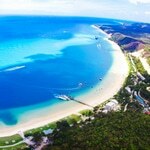 Tangalooma Island Resort is a tropical paradise located on Moreton Island, just 40km off the coast of Brisbane. The unspoilt natural beauty of the island, coupled with the unlimited array of activities on offer, make it the ideal destination for everything from a day trip to a long family holiday. Whether you want a relaxing break, an unforgettable wildlife encounter or an action-packed adventure holiday, Tangalooma Island Resort’s pristine white sandy beaches, crystal clear turquoise water and unspoilt national park offers something for every member of the family. Find out more. 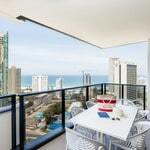 You will be high-fiving with delight from the moment you arrive at the brand-new Ruby Apartments on the Gold Coast. This brand-new apartment complex is like no other. 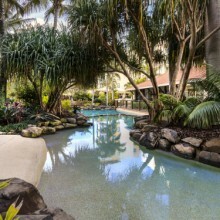 Offering 24-hour 5-star service, this resort will change the way you think about holidaying on the Gold Coast. At Ruby, they ‘don’t do ordinary’ and on arrival rather than being greeted by a very corporate reception desk, you’ll be greeted by state-of-the-art self-check-in kiosks making check in faster than ever before. Don’t be worried about checking yourself in though, it’s so easy and the friendly Ruby Ambassadors will be on hand to help out if required. Find out more. 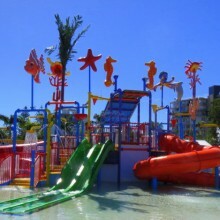 The brightly coloured water park, situated in the middle of Oaks Oasis Resort, is a guest favourite but is no longer alone. A brand new 18 hole putt-putt golf course, a triple galaxy climbing frame and giant jumping pillow are NOW OPEN and are fully included in your room rate! 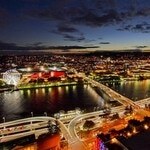 The newly refurbished rooms offer a wide range of accommodation choices. 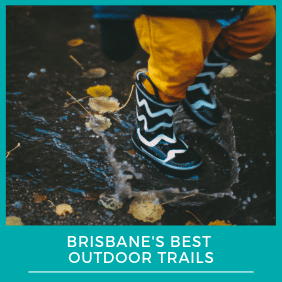 Oaks Oasis Resort is located across from family-friendly Golden Beach Read the Brisbane Kids review of Oaks Oasis Resort. or read more about the Top 10 Activities for Kids at Oaks Oasis Resort. Situated directly across the road from the beach, Oaks Seaforth Resort is within comfortable walking distance to patrolled swimming and surf beaches, a skate park and a range of cafes. Relax hill side with a picnic and watch the waves or book a surfing lesson and give Queensland’s best waves a go! 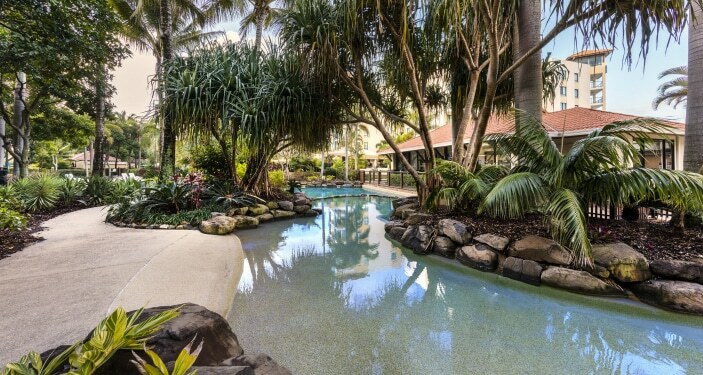 Oaks Seaforth Resort is perfectly positioned between Maroochydore and Mooloolaba which both offer even more beaches, bike paths, playgrounds and public BBQ areas, perfect for all your family needs. Find out more. 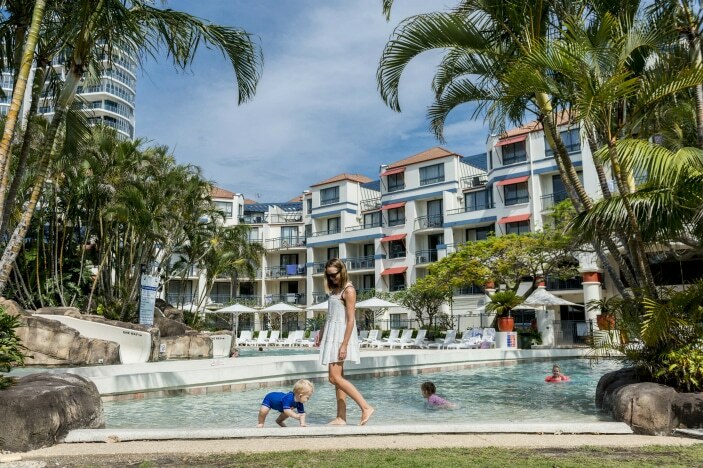 Oaks Calypso Plaza, located opposite Coolangatta beach, is conveniently situated for families wanting to experience the buzz of the Gold Coast as well as enjoy the quieter beachside neighbourhoods. Coolangatta beach serves up the Gold Coast’s best surf spots, safe swimming, local parks, beachfront restaurants and cafes. 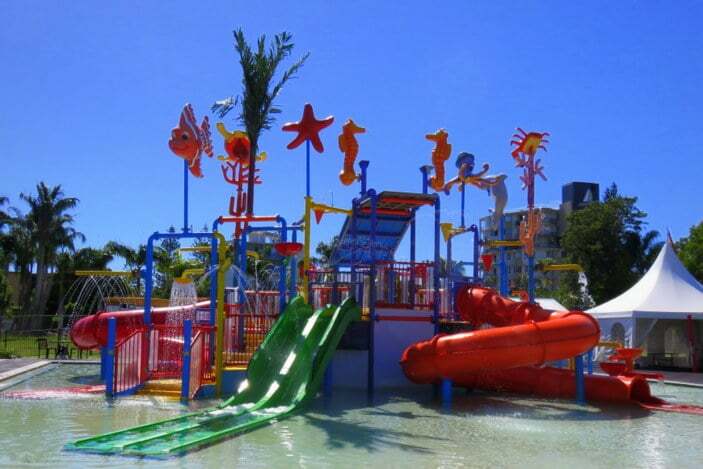 Oaks Calypso Plaza’s onsite facilities will keep the whole family entertained with a lagoon style swimming pool, featuring water slides and shallow splash zones, a spa, sauna, fully equipped gym and a fun games room. Find out more.